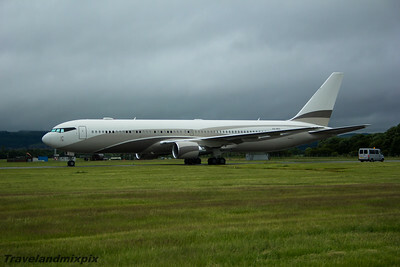 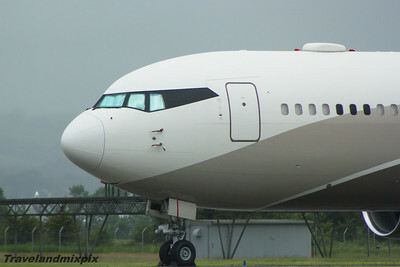 P4-MES Boeing 767-33A Global Jet Luxembourg Glasgow Airport 04/07/15 Owned by Roman Abramovich, known as "The Bandit" due to its cockpit paint detail. 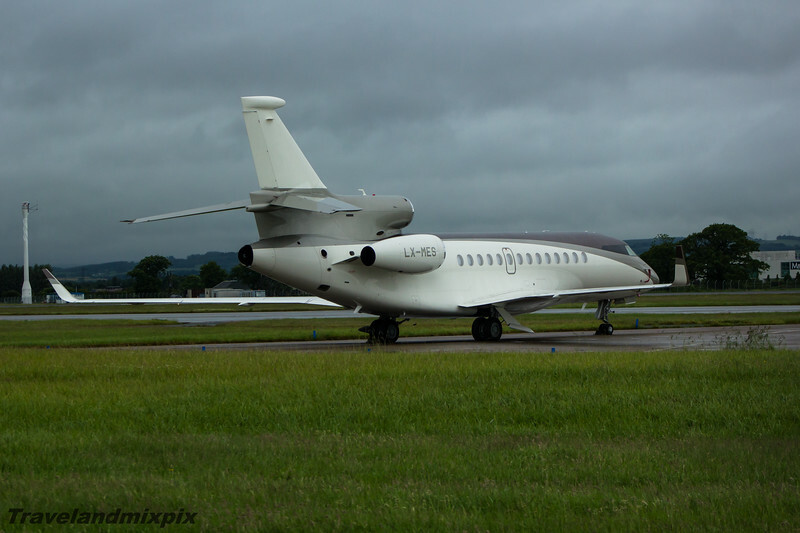 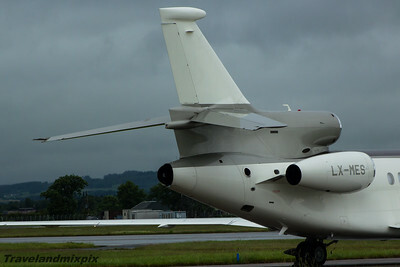 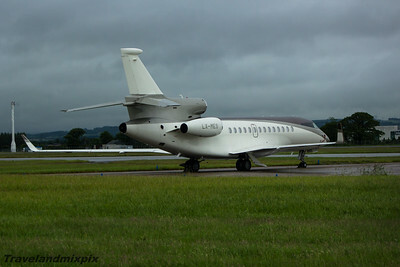 LX-MES Dassault Falcon 7X Global Jet Luxembourg Glasgow Airport 04/07/15 Owned by Roman Abramovich, nicknamed "Mini Bandit". 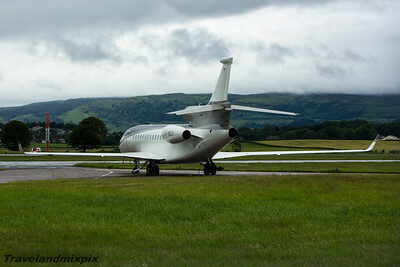 Owned by Roman Abramovich, nicknamed "Mini Bandit".